What began as a blog about writing and publishing has become a blog of whatever I feel like writing. Jules Lucton. Most Sunday mornings I run along the riverside path with Gandalf. When I say run, it tends to be very stop-start, because he is a hound dog and does what doggies do in that particularly stubborn way that is characteristic of the hound. He is a lovely companion, partly because he does not speak, and if we pick a time when there are not too many other people and dogs around, this is our special time together – and the time and place where much of my fiction is created. 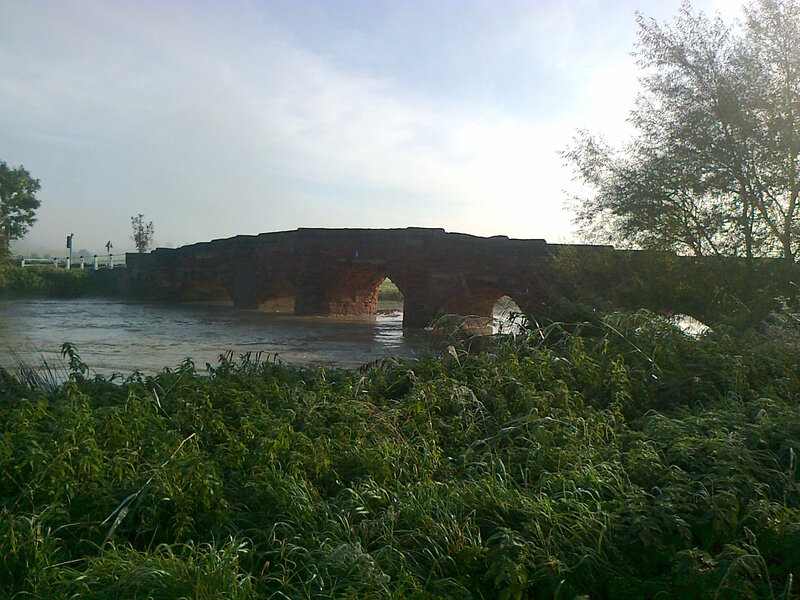 Often the route is dark, dismal and muddy. 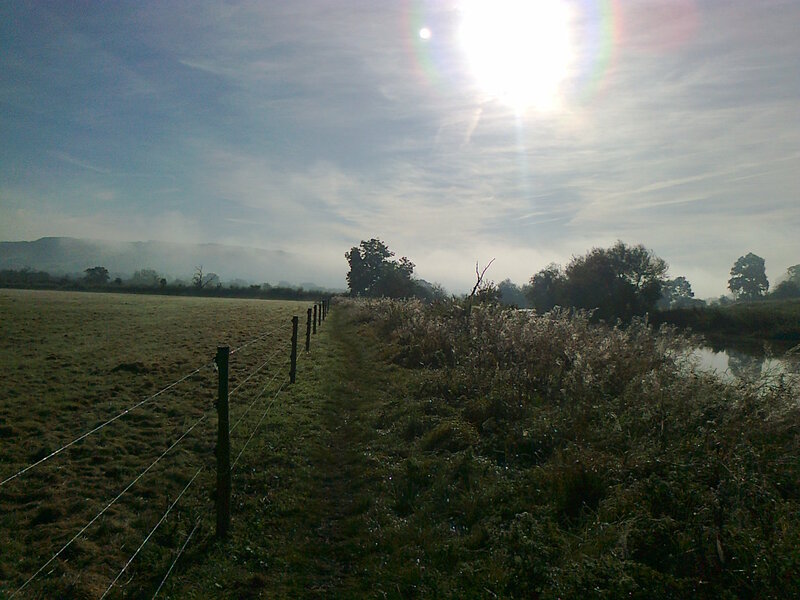 This morning the sun was burning off a heavy mist, so it was atmospheric, whimsical … and muddy. I have never seen it looking so lovely. I had a mobile phone in my pocket with a camera on it and decided to take some photos along the way. 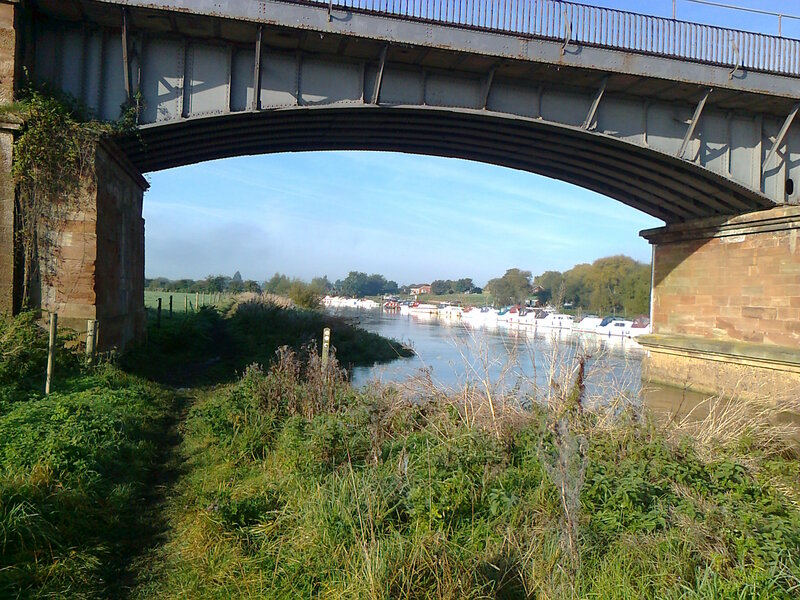 Gandalf used to bolt under this bridge because the first time he went under it a train went over and freaked him out. 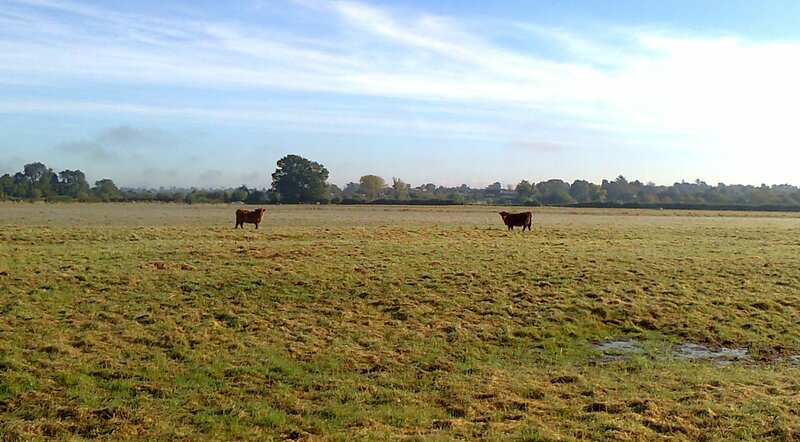 Those are cattle in the distance, standing in an area where the mist hadn’t yet burned off. Aberdeen Angus, I think. Shaggy ginger ones with really cute faces. I don’t know much about photography but was always told the light should be behind – but I was trying to capture the heavy dew and the impressive network of spiders’ webs – and it could only be seen from this direction. That fence has an electric current running through it to keep the cattle in the field. The path gets quite narrow in places and poor Gandalf once touched it and hollered like hell. I touched it myself and wondered why he’d made such a fuss – but I was wearing rubber soled shoes. Gandalf’s hu-dad went along another day, took his shoes off and touched it, and his hand was stinging for hours. These two guys wondered what the silly cow was staring at. 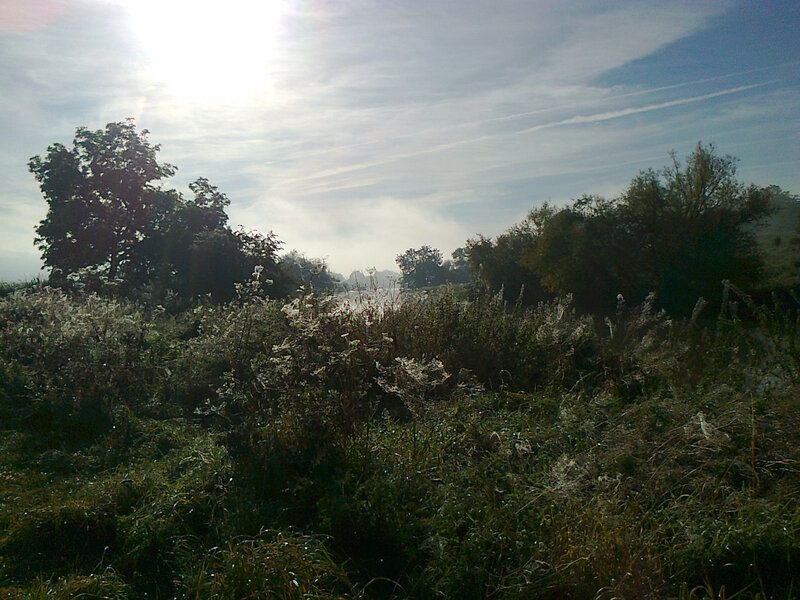 The foreground is mostly cobwebs and dew, the bit in the middle is the river and the sky has chemtrails. (Oh, don’t start on about those again). 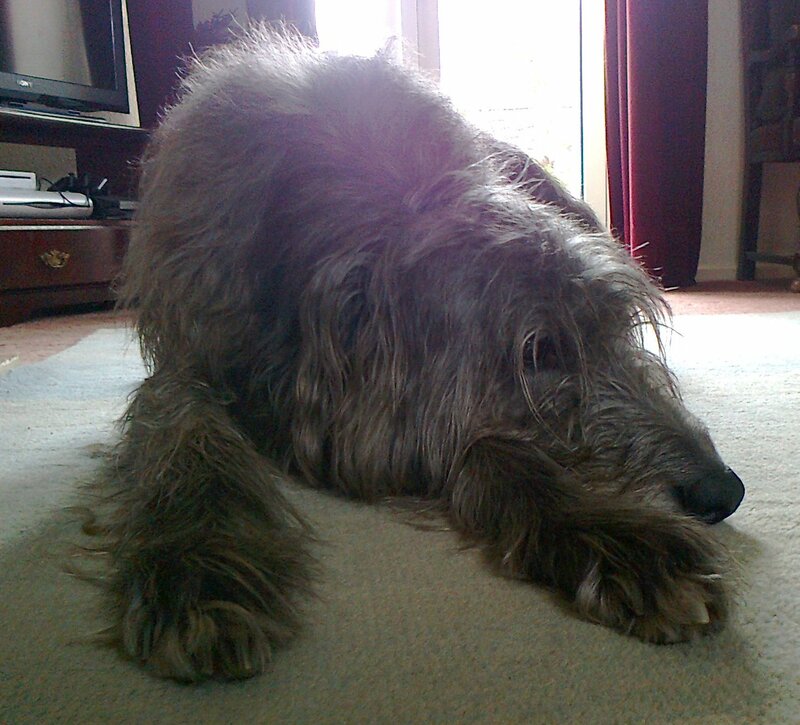 When I took the photos, Gandalf was either up to his ears in an interesting smell, or else marking ‘Gandalf woz ere’ on it – so I didn’t take any pictures of him by the river … but here he is back home; washed and fed and no longer smelling like a swamp. Another good post 🙂 I didn’t realise you lived in such a beautiful place. 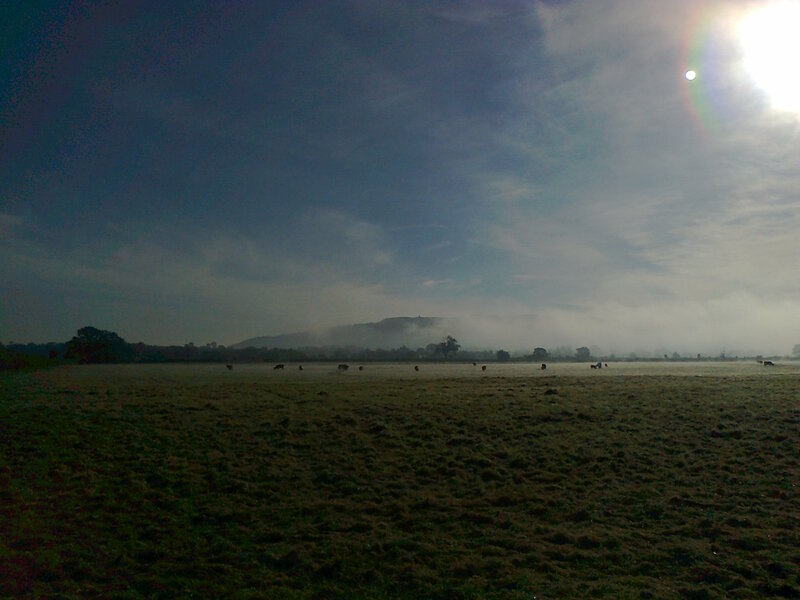 The shot of the cattle in the distance, with the mist – that’s Zombie weather. Click image for Amazon Kindle link - Currently just 99p ! Paperback – The Rise of Serge and the Fall of Leo, UK price £4 including postage. But how do you get to it …? Wacky inventions … who buys these things?